Baltimore will both gain and lose key pieces of the offense for Sunday’s matchup with the Green Bay Packers. Veteran running back Danny Woodhead is active for the first time since suffering a hamstring injury in the season opener. He spent the last eight weeks on injured reserve, but was moved to the 53-man roster Saturday afternoon.  While Woodhead is active, the Ravens will be without starting left tackle Ronnie Stanley because of a concussion. He suffered the concussion two weeks ago against the Tennessee Titans, but was limited in practice all week and won’t play. James Hurst will likely move from left guard to left tackle with Stanley missing, and Luke Bowanko could fill in at left guard. The other scratches for the Ravens are wide receiver Breshad Perriman, running back Terrance West, offensive lineman Maurquice Shakir, cornerback Jaylen Hill, and defensive linemen Bronson Kaufusi and Chris Wormley. Making Perriman a healthy scratch comes as a surprise. Baltimore expected the former first-round pick to have a big season, but he’s caught just seven passes for 54 yards and no touchdowns through the first eight games of the year. NFL Network’s Ian Rapoport reported that sitting Perriman may just be a one-week move based on how he responds. With Perriman out, increased reps will likely go to Chris Moore or Michael Campanaro. The decision to sit Perriman comes after a period of self-scouting during the bye week as the Ravens looked through ways to get their offense in sync. Woodhead’s return should go a long way in helping the offense. He was a prized free-agent acquisition this offseason and he showed his value in the season opener with three catches for 33 yards on the game’s opening drive. He’ll provide a security blanket for quarterback Joe Flacco in the short passing game. The other note at running back is that the Ravens decided to scratch West after his return to practice as a full participant this week. He missed the last month with a calf injury, but the Ravens opted to scratch him in favor of Woodhead, Alex Collins and Javorius Allen. The inactives for Green Bay are running backs Ty Montgomery and Aaron Jones, cornerback Kevin King, safety Morgan Burnett, guard Adam Pankey, defensive tackle Montravius Adams and linebacker Chris Odom.